090518 - Senator Elder Vogel, Jr. 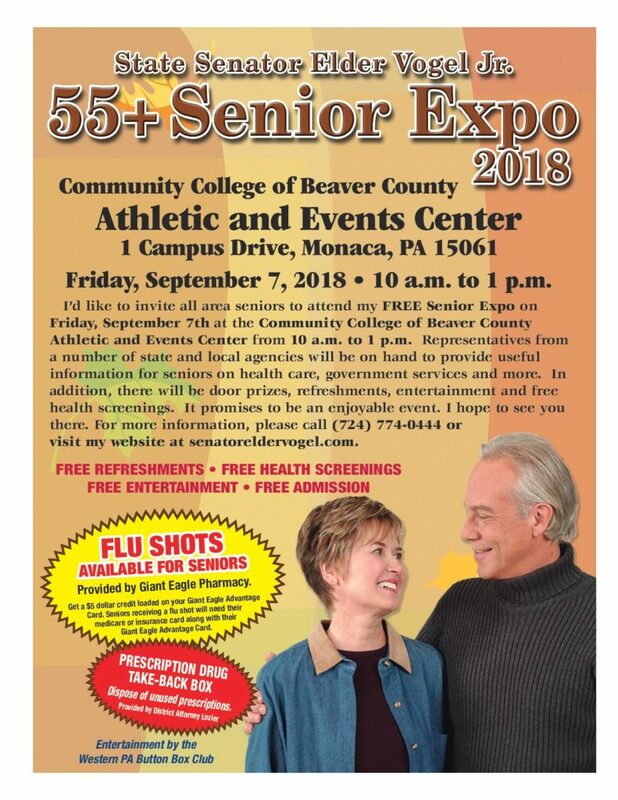 Final reminder that this Friday September 7th is my Beaver County Senior Expo. I look forward to seeing everyone there! On Thursday October 18th there will be a bus trip to Washington DC offered in part by WesBanco to veterans who served prior to May 15th, 1975. The trip will visit the National War Memorials. This trip will be free for all veterans but availability is limited so please register as soon as possible. Since the first trip in November 2006, 40 bus loads of almost 2,900 Veterans have had the opportunity to see our country’s tribute to their sacrifice & service. Meals are provided, as well as snacks and beverages. Wheelchairs are available upon request during registration. To register or for more information about the trip, please call 724-709-3614. PennDOT is announcing that individuals can apply for REAL ID pre-verification at driver license centers beginning on September 1st. Under federal law, REAL ID will be required to board commercial flights and enter federal buildings as of October 2020. Getting a REAL ID is optional for Pennsylvania residents, and they will be available in March 2019 to Pennsylvanians who want them. More details about Real ID and a list of documents needed to apply can be found by clicking here or you can call my office at 724-774-0444. Penn State Extension is offering a 6-class series on dining with diabetes. This series will focus on helping you understand some of the most important things you need to know about managing your diabetes. Dining with Diabetes meets national standards for diabetes education and support. The curriculum follows seven specific self-care behaviors developed by the American Association of Diabetes Educators, known collectively as the AADE7, which have been defined to guide and help patients achieve behavior change. Learning that you have diabetes can be overwhelming at first. There are many new things to learn and it can be difficult to know where to start. For more information or to register for the program, please call 1-877-345-0691 or click here to visit the webpage. Pennsylvania residents can apply for rebates up to $2,000 on purchases of alternative fuel vehicles: plug-in hybrid, plug-in electric, natural gas, propane, and hydrogen fuel cell vehicles. This year, leased vehicles are also eligible. Businesses are not eligible for this program. You can find program guidelines, application instructions, and an up-to-date listing of rebate availability by clicking here. 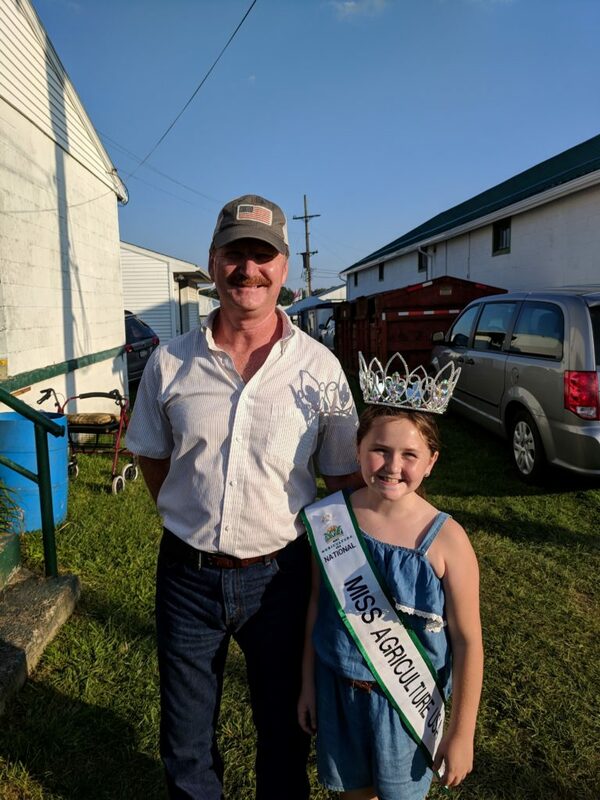 Last week, I had the pleasure of meeting our Big Knob Fair Ambassadors, including my friend Mercede Johnson – the 2018 Miss Agriculture USA Petite Ambassador! The next YAP event is a Mental Health Awareness seminar on September 19th from 9a.m to 1:30p.m at the Community College of Beaver County Dome. Any youth who resides in Beaver County from 8th through 12th grade is eligible to participate by contacting their district representatives. For more information regarding the YAP initiatives please click here to visit the Beaver County System of Care webpage. The Beaver County Alzheimer Walk is quickly approaching, Saturday October 6th, and registration is required for participation. Strollers are allowed and teams can be any size. If you want to participate but do not want to walk there are options available. The Beaver walk will begin at the Gazebo at Irvine Park 810 Third Street, Beaver, PA 15009 at 10:00a.m. If you are interested in walking and raising money for a great cause please click here to find your walk and register. 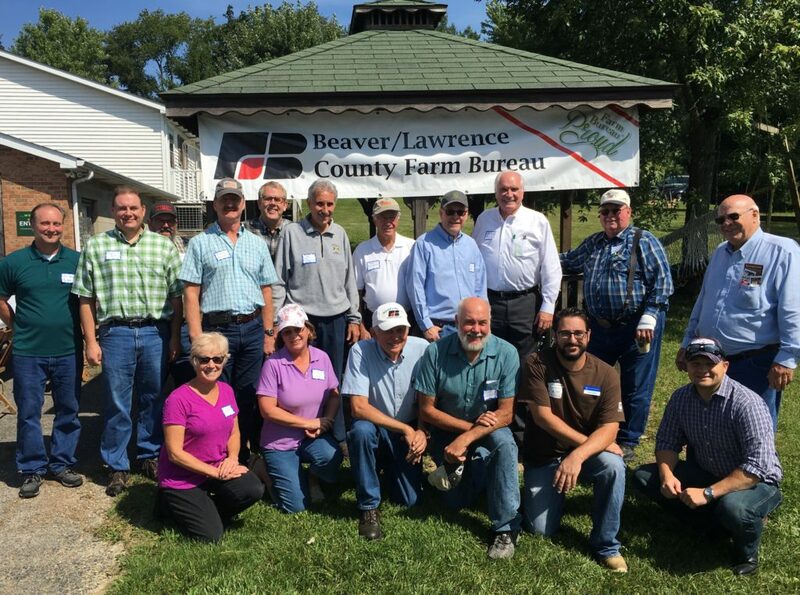 I was glad to be a part of Beaver-Lawrence Farm Bureau‘s farm tour. 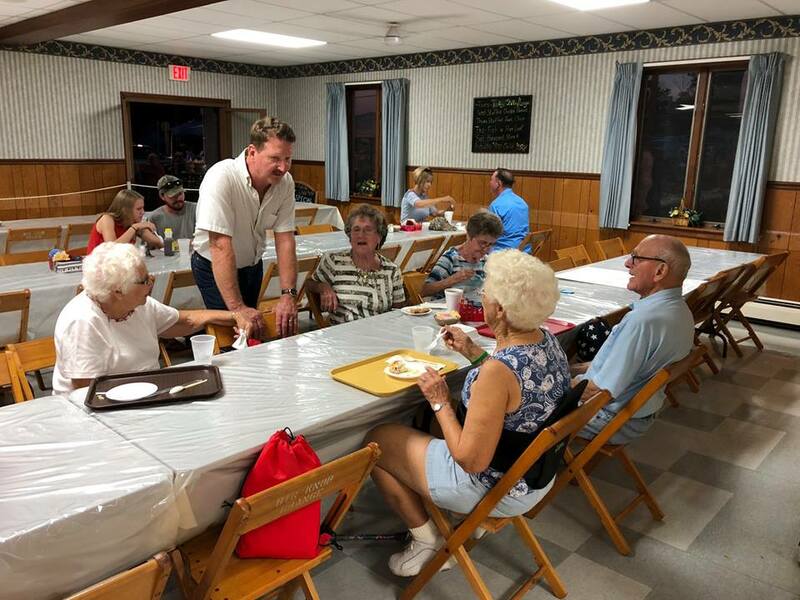 Thank you to Stramba Farm and Fiber Mill for inviting us to learn more about your alpaca farm and discuss the issues facing our local farmers. The event will have trained professionals complete a 12-point CarFit checklist to help mature drivers adjust mirrors to minimize blind spots, learn proper seat belt use, properly adjust the head rest and more. The event will be held on Tuesday October 9th from 1p.m to 3p.m at Medic Rescue Ambulance Company 313 Bridge Street, Beaver, 15009. September is National Preparedness Month, with the theme, “Disasters Happen. Prepare Now. Learn How.” The Federal Emergency Management Agency (FEMA) encourages families to learn lifesaving skills such as CPR and first aid, check insurance policies and coverage for the hazards you may face, and save for an emergency. Also, know how to take practical safety steps like shutting off water and gas. The devastating hurricanes and wildfires of 2017 and already in 2018 reminded the nation of the importance of preparing for disasters. Often, we will be the first ones in our communities to take action after a disaster strikes and before first responders arrive, so it is important to prepare in advance to help yourself and your community. For more information please click here to visit the webpage. Pennsylvanians are encouraged to report sightings of the invasive Spotted Lanternfly which presents a significant threat to PA agriculture, including the grape, tree-fruit, hardwood and nursery industries, which collectively are worth nearly $18 billion to the state’s economy. The pest has prompted a quarantine on plants in southeastern PA.
Find out what to look for and how to report by clicking here.